Every now and then a woodworker wonders if the glue being used is really the best choice for the job. 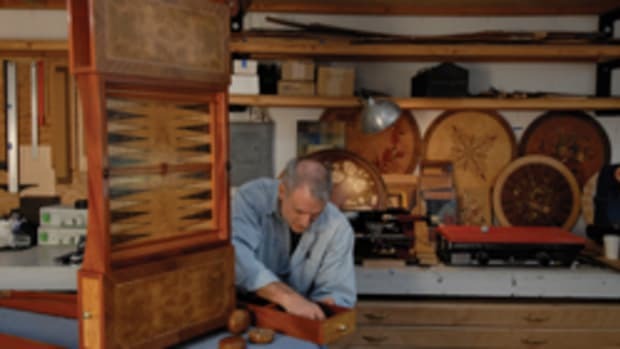 Will the cabinet, turning, carving or piece of furniture last as long as it should? Will the joints hold up to the trauma of moving to locations with different humidity levels? We’ve all had that fleeting thought, right in the middle of squeezing a bottle, that maybe there’s a brand-new (or even a very old option) that might work better than the one we chose. There are several basic glues that are suitable for most woodworking and a few specialty ones designed for exceptional circumstances. Among the most familiar are hide glue, white glue (polyvinyl acetate) and stock yellow glue (aliphatic resin). For projects that will be exposed to the weather, there’s a family of polyurethane glues, a host of popular epoxies that are especially familiar to boatbuilders and, of course, waterproof yellow glue. 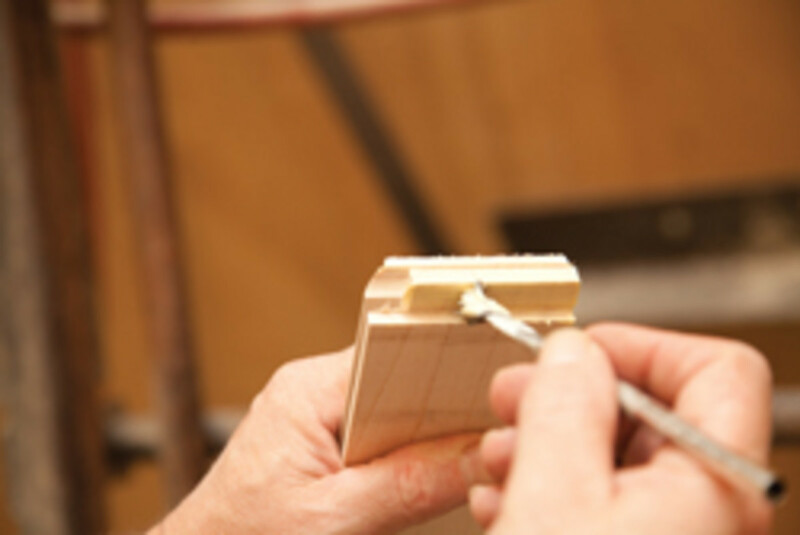 Carvers and turners have a soft spot for instant (cyanoacrylate) glue, which is invaluable for small repairs. There are contact cements for plastic laminates and some veneers and that handyman’s perennial favorite — hot melt glue that is dispensed from a gun. There are also a few dedicated solutions such as rubber cement and spray adhesive that are sometimes useful in the woodshop. So let’s begin with the oldest option. There are two ways to serve up hide glues: hot and cold. 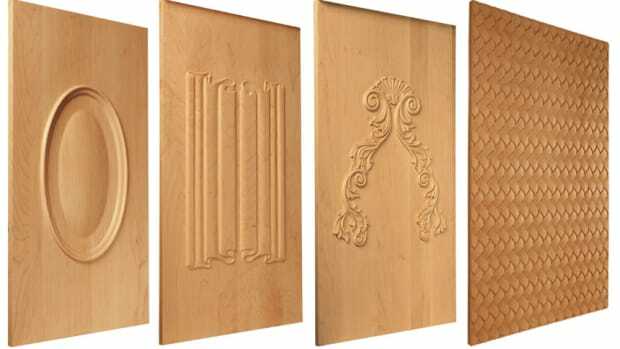 These are traditional adhesives that have lost a lot of ground to newer and simpler options, although some professional woodworkers still swear by them, especially those in the restoration business. Hot hide glue has an extremely manageable open time (the amount of time you have to move and rearrange the parts) if heat is applied. Cold (also known as liquid) hide glue has a relatively short open time — about half an hour, depending on the room temperature and humidity — but the bond is then reversible when one applies water and heat. Hide glues are made from a cow (and sometimes horse) byproduct called collagen, which includes the hide, some bone and other tissues. It dates back to the Egyptians and restoration experts like it for a couple of good reasons: one doesn’t have to clean all the old hide glue out of a joint before adding more during a repair and, by injecting a little warm water into a joint, it can become quite receptive to new glue. This solubility also allows the woodworker to disassemble old joinery. One major disadvantage to hide glue over time is that it can dry out in periods of low humidity and become brittle. It can also turn crystalline if it comes in contact with alcohol. Perhaps the biggest problem during restoration is paint stripper: furniture dipped in a stripper tank generally needs to be reglued. Hide glue is an excellent choice for hammer veneering, a process that uses the glue’s open time to full advantage. And it can become somewhat waterproof if one adds a small amount of aluminum sulfate to the glue. It can even be made to flex, as in a canvas-backed tambour desk door, by adding glycerin. Hide glues come in various gram strengths, usually in a range from 135 to 250. The higher the number, the more viscous (thick) the glue is. The compound needs to be mixed with water and heated to around 150 F to be usable. And today, it can be purchased premixed with chemicals added that deliver a longer open time and shelf life. Hide glue accepts stain and wood dyes, which really helps refinishers. While it’s not overly complicated, there definitely is a learning curve to using this product. For decades, this has been a great option for hobbyists. Polyvinyl acetate, or PVA glue, usually provides a few more minutes of open time than aliphatic resin yellow glue and requires a short clamping time. It cleans up with a damp rag, dries clear (although it doesn’t like stain) and lasts for years on the shelf as long as the bottle is sealed. It is still one of the most viable options and creates a very good bond. It isn’t waterproof, doesn’t like to be frozen as it’s water-based, won’t fill gaps (unless you add sawdust) and is non-toxic once it cures. One word of caution: white glue doesn’t always sand well because the sandpaper creates heat, which makes the glue soft. Aliphatic resin-based glue sets up a bit quicker than white glue, but it also has a short clamping time. This is a little more expensive than basic white glue, but it’s still very reasonable and it’s also more resistant to moisture. 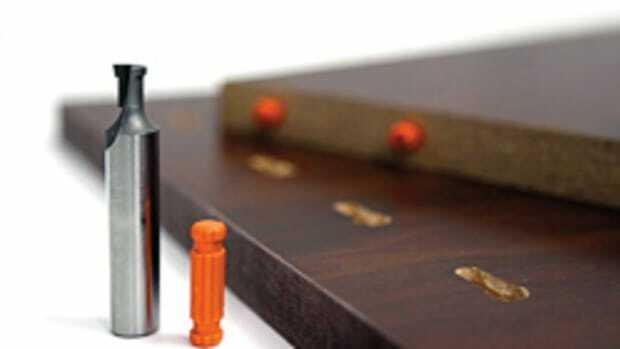 It forms an excellent bond and is ideal for most woodworking, turning and carving assemblies. Yellow glue cleans up with water before it cures and it’s a bit thicker, too, so it can sometimes be used to fill small gaps. A harder resin combats the sanding problem, but yellow glue is more aggressive than white glue during assembly so parts can be a bit harder to reposition. It also retains some elasticity, so it might not be the best choice when gluing up laminations that will remain under stress, such as arches and curves. It is subject to a phenomenon called cold creep, which means that laminations under stress can actually slide a little. 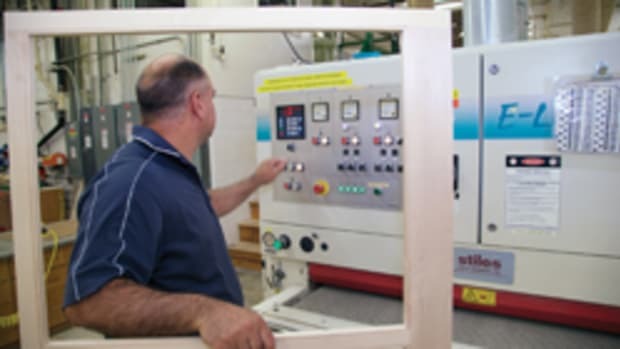 Crosslinked PVAs are a favorite among cabinetmakers and furniture builders to work on exterior projects. These are a little more expensive than white and yellow glues, but knowing that they won’t fail in a moist environment is a comforting thought. It’s ideal for cabinetry that will, for example, live in basements in the Midwest, where the summers are quite humid. 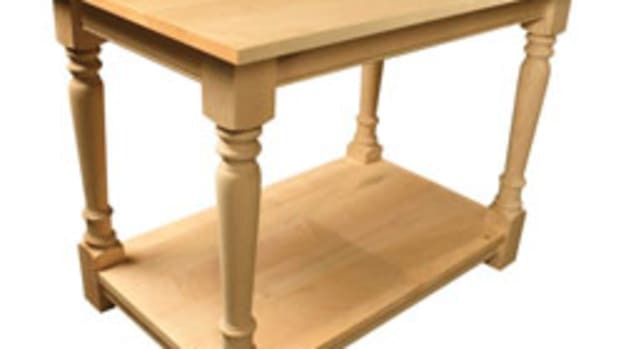 The downside to this glue is that the open time is a bit restrictive, which can be an issue when assembling large finger-jointed or dovetailed drawers. But it is visible when it dries, so one can more easily scrape or sand excess before applying stain. And some manufacturers offer a brown version that shows up more and matches some hardwoods (notably walnut). I built a Spanish cedar picnic table several years ago when Gorilla Glue first became available to woodworkers. It had several bent laminations, which are some of the toughest glue joints around because the wood has a memory and always wants to straighten out. That table has lived outdoors through years of both Wisconsin and Wyoming weather (lots of snow, ice, rain, sun and wind) and there are no signs of glue failure whatsoever. It is essential with polyurethane glue to dampen both surfaces and then make sure the clamps are properly tightened. During the first few minutes after it has been applied, this glue expands and foams up if it’s not under pressure. Wash off the excess while it’s still liquid if you can: it’s a pain to scrape after it dries. The glue also stains skin, so gloves are in order. If one needs to create a waterproof bond in a few minutes that will last for a long, long time, epoxy is the answer. Two-part packages require squeezing out measures of resin and hardener, and mixing them together before application. Most epoxy doesn’t shrink, is exceptional in situations that involve laminations, and can be submersed in water, which is why boatbuilders love it. A hardware store will have several options when it comes to epoxies. The biggest differences between them are their set times and their application. Some bond metal or plastic, while others work best with wood, glass or other materials. 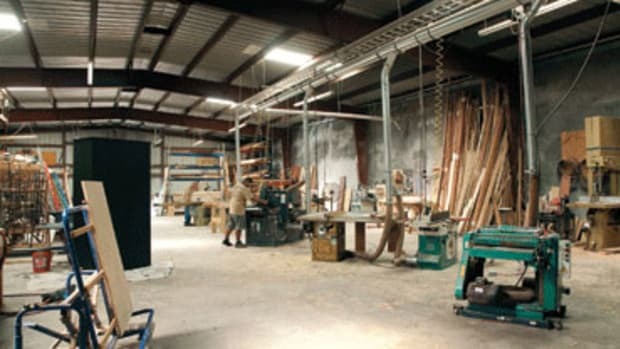 There are epoxies specifically designed for oily wood such as teak and rosewood. Squeeze-out can be a problem. Once hardened, epoxy is almost impossible to remove cleanly. But one can add a little sawdust while it’s still soft, to help disguise it. It’s even possible to add stain to many epoxies while mixing them (try it somewhere unimportant, rather than experimenting on the best face of an actual project). Most manufacturers suggest not clamping too hard with epoxy as it needs a sizeable gap to work. And apply it in a vented space with gloves on as most epoxies are toxic until they cure. Some manufacturers offer additives that can slow or speed the cure time, or help control the amount of sag. Others suggest playing with the hardener-to-resin ratios, to achieve a harder glue or a more flexible final result. The open time can vary, too. 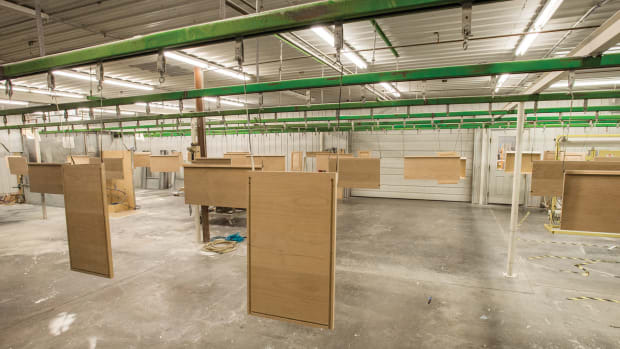 While most epoxies set in minutes or even seconds, some give a woodworker up to an hour or more to assemble parts. Read the label. The name of the original brand has come to describe the entire industry. Most people categorize all instant or cyanoacrylate glues as Super Glue. This product is a wonderful quick fix for small parts, such as when the tip of that last leaf on the fleur-de-lis you’re carving splits along the grain and falls off. Instant glue is wonderful crack filler too. Turners use it to fill voids and help stop a crack from growing, and even as a finish which is applied as the wood is turning, and is polished to a gloss. Instant glue also loves to stick to skin, and a nontoxic version is sometimes used instead of stitches in trauma wards. The biggest advantage to this product is that it sets up in a few seconds and a woodworker can go back to work on the part after a quick coffee break. Most instant glue creates a waterproof bond. Nothing works better than contact cement for applying plastic laminates. An equal coating is applied to the bottom of the laminate and the top of the substrate, using a brush, a roller, or even an old credit card. When the cement dries, one places a number of dowel rods or sticks on the substrate (to keep the laminate and substrate apart), and lines up the laminate. As soon as the two parts meet, they are stuck for life. There’s no adjustment or forgiveness. Pull out the sticks one by one and roll the two parts together. Original formulations of contact cement emitted a lot of fumes and were highly flammable. Today’s water-based varieties are much safer to work with and, while some older cabinet shop owners complain that the bond isn’t quite as good as it used to be, they certainly seem to be doing a great job. Contact cement doesn’t give and stretch like some adhesives, so it’s not always a good choice for veneering. A modified urea-formaldehyde that doesn’t have a water base or water additive works better, as do some hide glues. Designed to be a quick-setting, temporary adhesive, hot melt glue is a wonderful shop aid. It can be used to hold parts in place while other, longer-lasting adhesives set up. It is unsurpassable as a temporary fix for one-time-use jigs and templates. The very quick set time lets one keep on working, but this is not a permanent adhesive. When exposed to heat, it will fail. 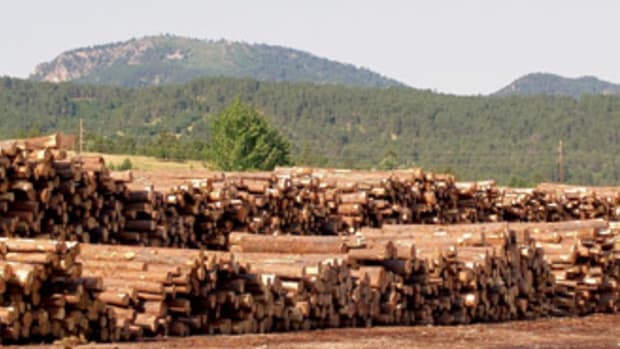 The residue can be removed with mineral spirits.